"Sampath Speaking" - the thoughts of an Insurer from Thiruvallikkeni: Hosts declaring at Adelaide & Feroz Shah Kotla ~ but different stories !! Hosts declaring at Adelaide & Feroz Shah Kotla ~ but different stories !! Smog is a type of air pollutant. The word "smog" was made as a portmanteau of the words ‘smoke and fog’ to refer to smoky fog. About a century ago it was known as pea soup fog, a familiar and serious problem in London from the 19th century to the mid 20th century, caused by the burning of large amounts of coal within the city; this smog contains soot particulates from smoke, sulfur dioxide and other components. Modern smog is a type of air pollution derived from vehicular emission from internal combustion engines and industrial fumes that react in the atmosphere with sunlight to form secondary pollutants that also combine with the primary emissions to form photochemical smog. Winter is back in Poland, accompanied by smog—and renewed concern about its impact on people’s health. Poland has some of the worst air quality in Europe, with 33 of the continent’s 50 most polluted cities, according to a World Health Organization (WHO) report last year. This is highlighted by the European Air Quality Index launched in November by the European Environment Agency (EEA) and the European Commission, a map that enables users to find out whether the air they are breathing is safe in real time. The situation is worst in southern Poland, where towns frequently fall into the index’s “very poor” category for high levels of particulate matter PM2.5 and PM10, two key pollutants. The main culprit: the coal used to heat people’s houses. Down under in ‘Ashes’ – it has been a heated couple of weeks between Australia and England in the Ashes series, but Cricket Australia (CA) chief executive James Sutherland is unfazed by the ill temper between the two teams. After a first day in Adelaide during which Australia captain Steve Smith repeatedly clashed with England fast bowlers Stuart Broad James Anderson, Sutherland suggested the interactions were "a little bit of what I would call banter". "I don't know the specific details but I noticed [umpire] Aleem Dar was right in the middle of it at times, and he didn't make any reports or anything like that," Sutherland told Grandstand. It is a different ball game literally – a shinier, stronger pink ball with expectations of more swing though has not contributed much thus far. A new thread has been used for the black seam which is more coarse than the one used in last year’s day-night Test against South Africa. 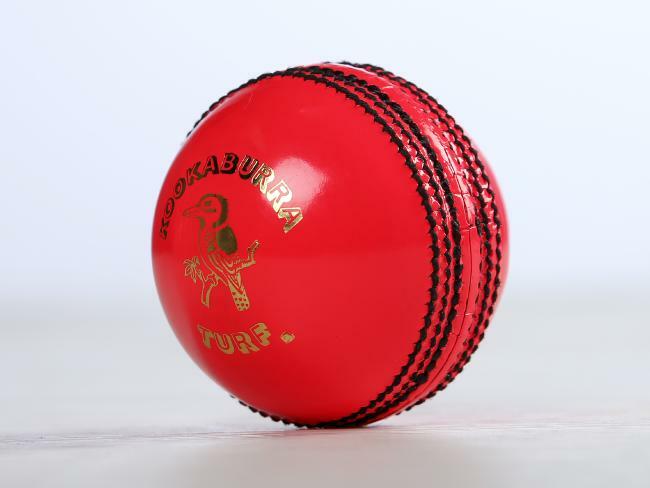 The ball has also been polished to a higher sheen which is expected to last longer and aid visibility under the night lights. At Adelaide, in a day-night encounter, Shaun Marsh was the hero for Australia after his fighting hundred put the home team on top. Tim Paine added a crucial 57 while some late hitting from Pat Cummins 44 allowed skipper Steve Smith to declare at 8/442. England were almost immediately on the back foot when Mitchell Starc caught Mark Stoneman lbw for 18 before the rain arrived. England will resume the second Ashes Test in at 1-29 on Monday after rain forced an early end to day two. The only wicket to fall Mark Stoneham LBW to Starc for 18 and challenged the decision but the DRS verdict was that the ball was taking leg stump and he was on his way. Back home, in Feroz shah Kotla, Virat Kohli brought up his sixth double-hundred and carried on to post his highest Test score, but perhaps he could not time the declaration to his liking. 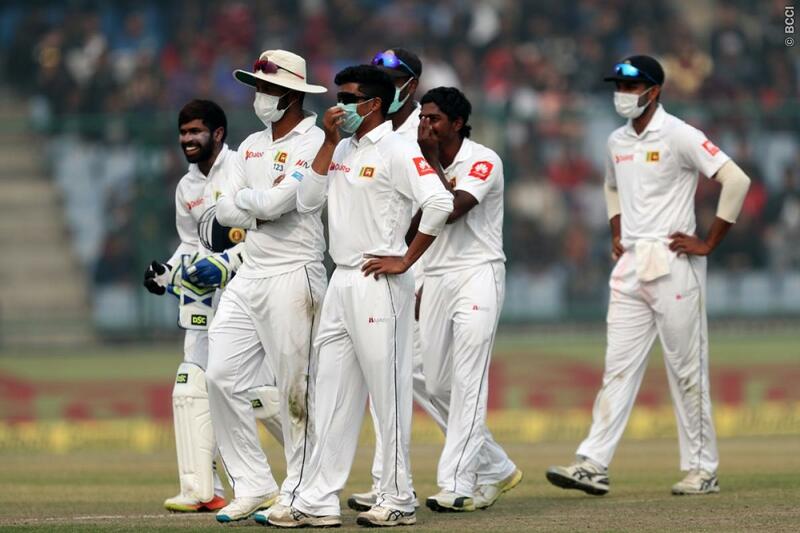 Sri Lanka's fielders came out wearing face masks after lunch, and there were multiple hold-ups in play thereafter as they conveyed to the umpires the difficulty they were having in smoggy conditions. It was in someways a forced declaration as Sri Lanka claimed that they ran out of players healthy enough to field in the polluted Delhi air on day two of the Test. There were two stoppages - 17 minutes and five minutes - before the eventual declaration even as Sri Lanka trainer Nick Lee changed into his whites to step in as the 11th player on the field. The fielding coach Manoj Abeywickrama was also prepared to take the field. In the post-lunch session, at least five of their fielders came out wearing masks. At 12.32pm, fast bowler Lahiru Gamage expressed concerns to his team, the physio walked out and looked after him, which caused a 17-minute delay. One more stoppage later, the other fast bowler Suranga Lakmal just walked off, leaving only 10 Sri Lanka players on the field. At 1.28pm, Virat Kohli, the India captain who fell for 243 during this stop-start period, called his unbeaten batsmen back in, positively suggesting they were okay to field in these conditions and breaking the impasse. During the interruptions, the match referee David Boon was seen talking to a doctor, who had a stethoscope around his neck, presumably for advice on how big a health hazard the current pollution was. Animated discussions between players and the match officials took place during these interruptions. At one point, India coach Ravi Shastri walked out to the middle. Nic Pothas, the Sri Lanka coach, was also seen talking to the umpires. When Sri Lanka began their innings, it was their offspinning allrounder Dilruwan Perera - rather than Sadeera Samaraweera, who has been off the field since being struck on the helmet at short leg on day one - who walked out to open alongside Dimuth Karunaratne. At stumps on day 2, Lankans 131/3* were trailing India by 405 runs.